A deputy of the main opposition Republican People’s Party (CHP) submitted a four-question parliamentary motion to the Turkish Minister of Foreign Affairs, Mevlüt Çavuşoğlu, regarding U.S. Secretary of State Rex Tillerson's visit last week. CHP Adana Deputy, Zülfikar İnönü Tümer, in his four question motion, questioned the reasons for the break of protocol during Mr Tillerson's visit. 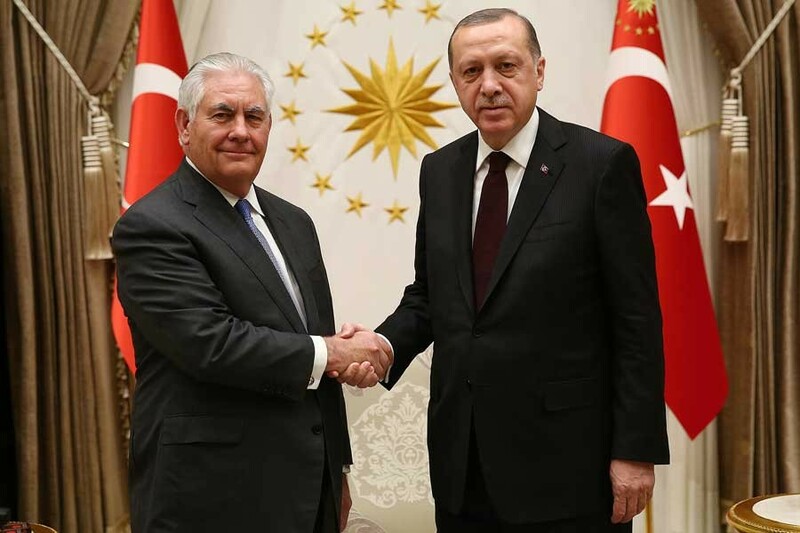 The U. S. Secretary of State's meeting with the Turkish President Recep Tayyip Erdoğan was highly unusual because Mr Tillerson reportedly wasn't accompanied by an American translator, any aides or a note-taker. It was reported that the Turkish Minister for Foreign Relations, Mevlüt Çavuşoğlu, translated the meeting for two the statesmen who cannot speak each other's language. It is unclear whether an authorised note-taker from the Turkish Ministry of Foreign Relations was in attendance. The motion that had four questions, including one about the official records asked formally whether an authorised officer from the Turkish Ministry of Foreign Relations attended the meeting for note keeping and whether the documents would be archived. According to the Turkish parliamentary rules, a question is one of the ways of obtaining information from government officials concerning the duties and activities of the government. The government must answer the question in 15 days once the Office of the Speaker notifies the concerned department. CHP Adana Milletvekili ZÃ¼lfikar Ä°nÃ¶nÃ¼ TÃ¼mer, DÄ±ÅiÅleri BakanÄ± MevlÃ¼t ÃavuÅoÄlu'ya ErdoÄan-Tillerson gÃ¶rÃ¼Åmesini sordu.